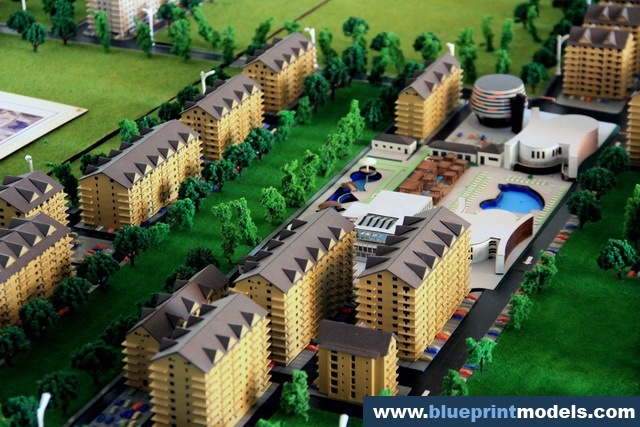 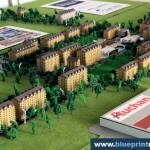 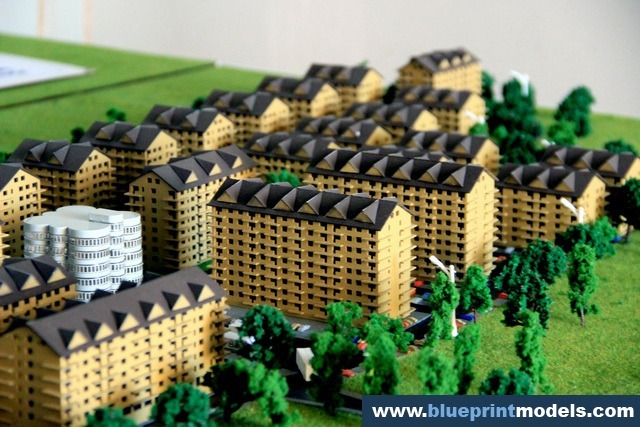 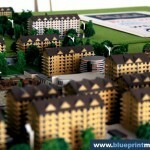 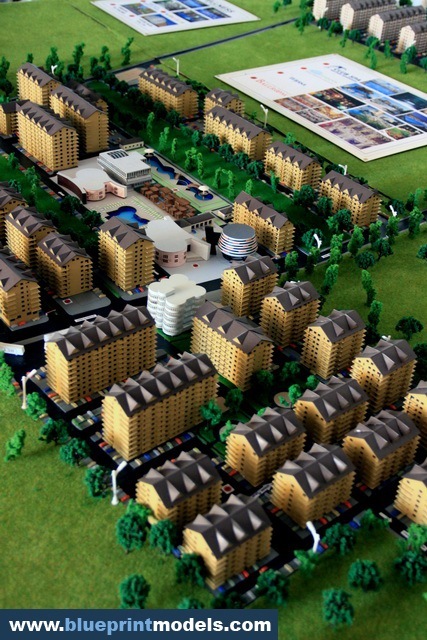 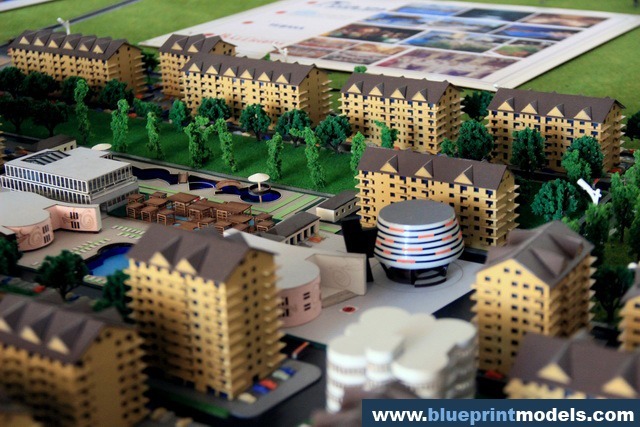 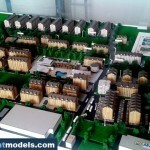 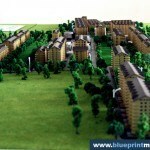 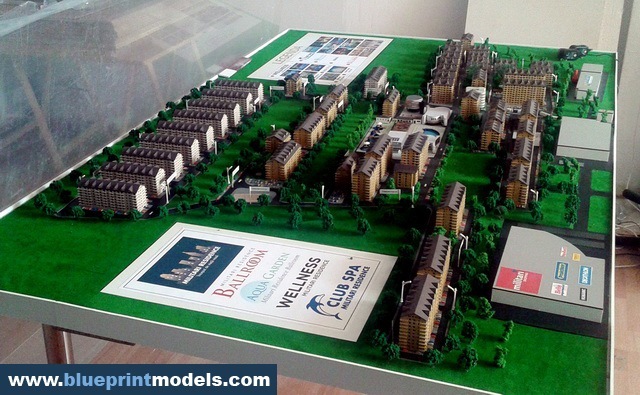 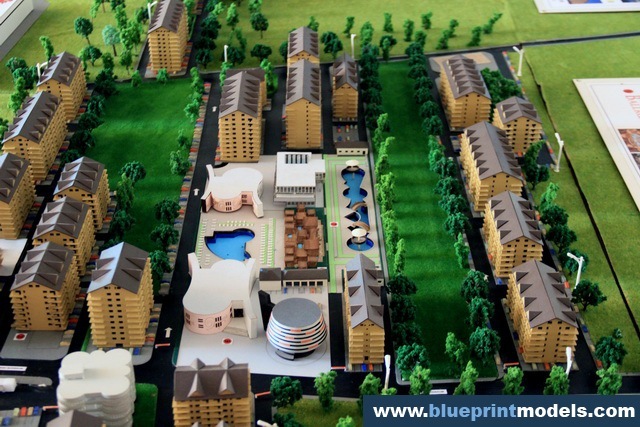 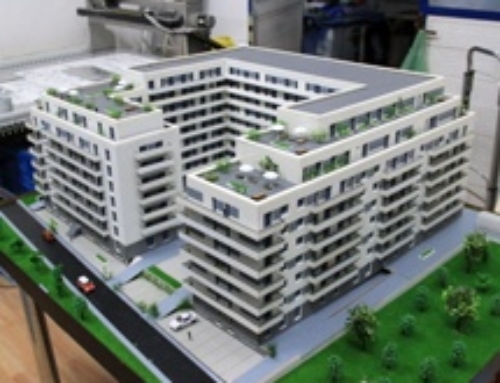 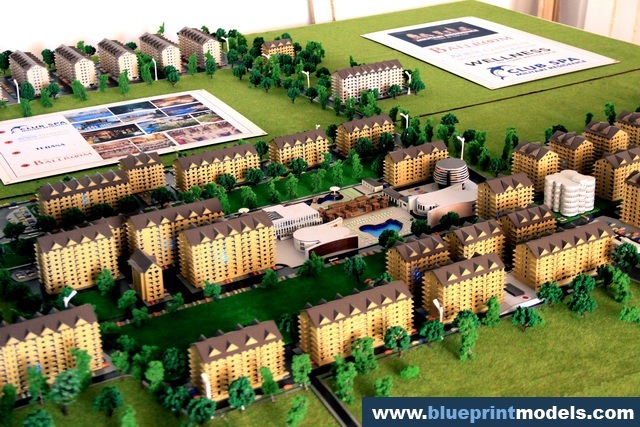 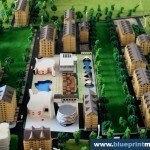 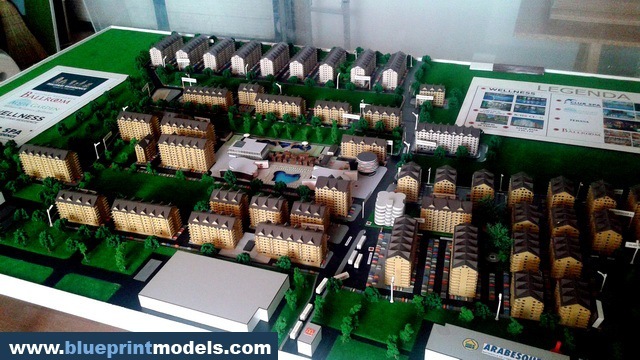 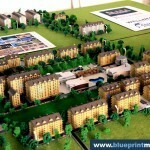 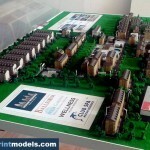 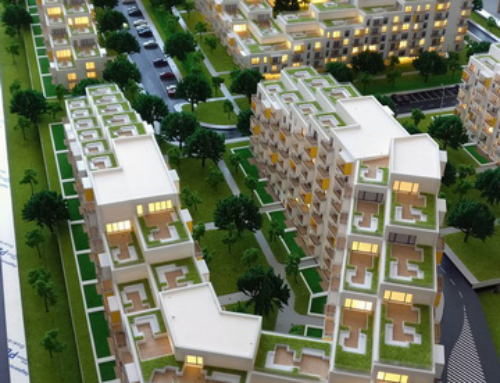 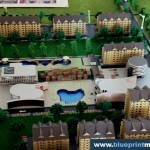 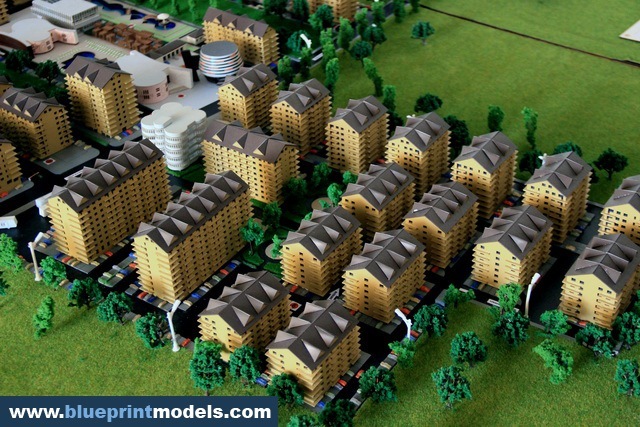 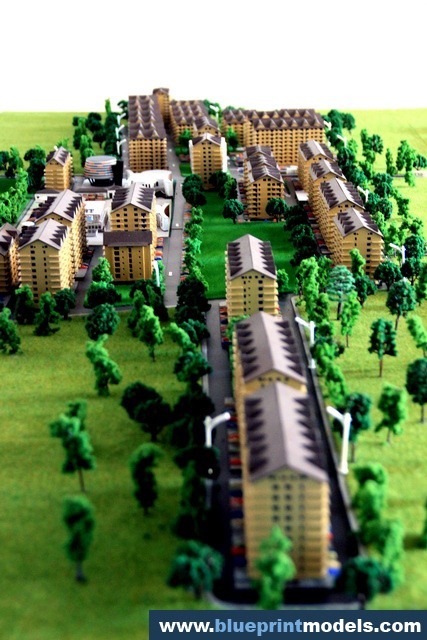 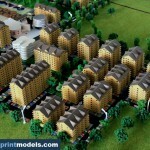 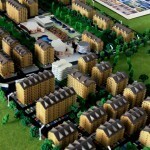 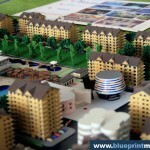 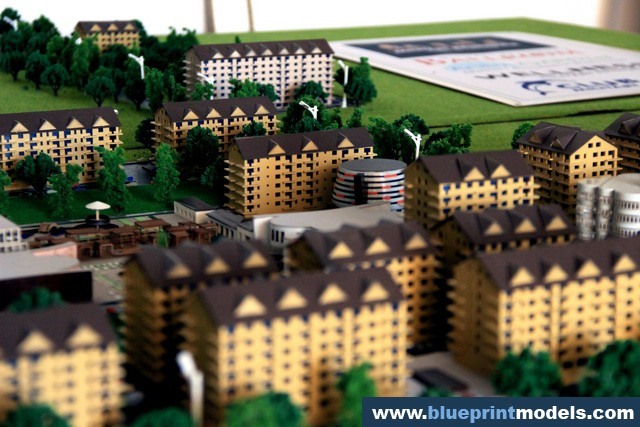 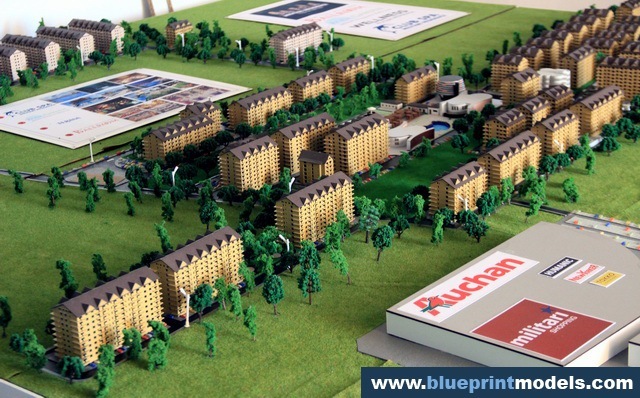 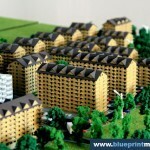 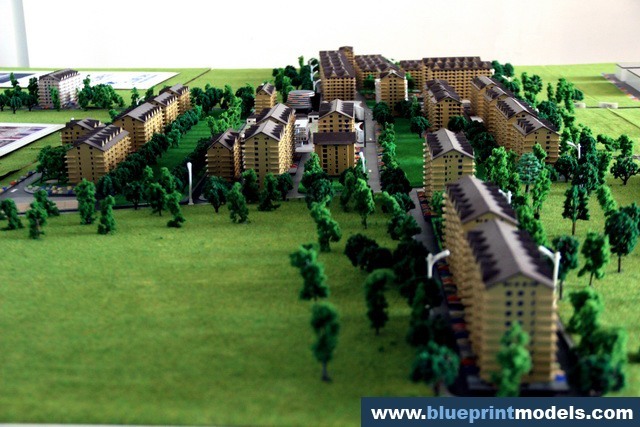 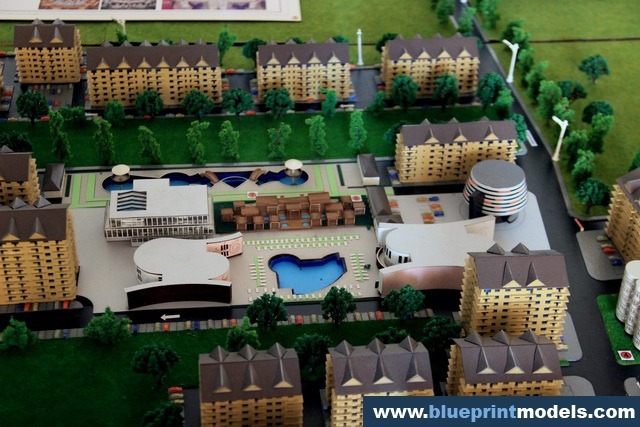 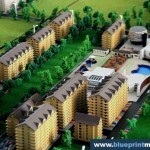 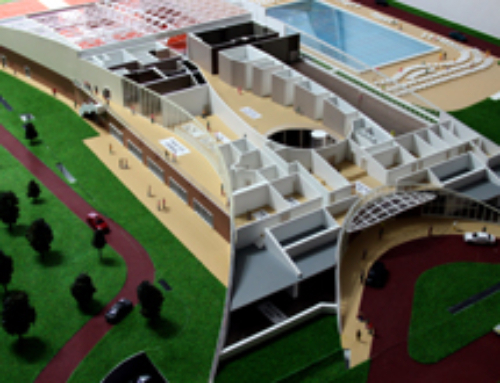 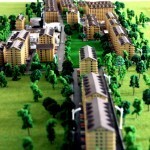 This is a scale model of the Militari Residence Residential District, which features the housing units and all related facilities: Aqua Garden, Kindergarten, Club SPA, Ballroom, Wellness and, last but not least, playgrounds and recreation spaces. 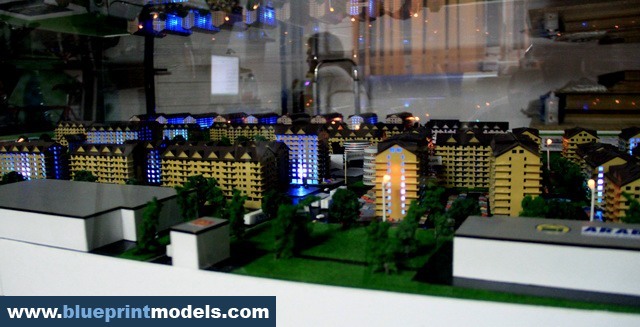 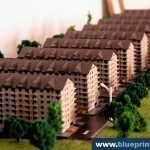 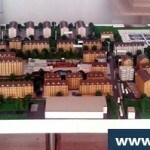 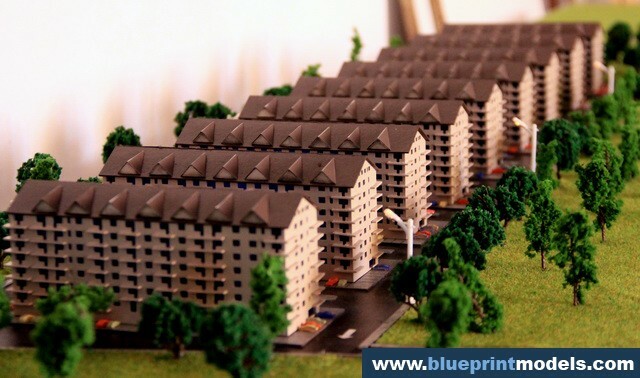 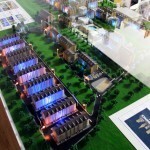 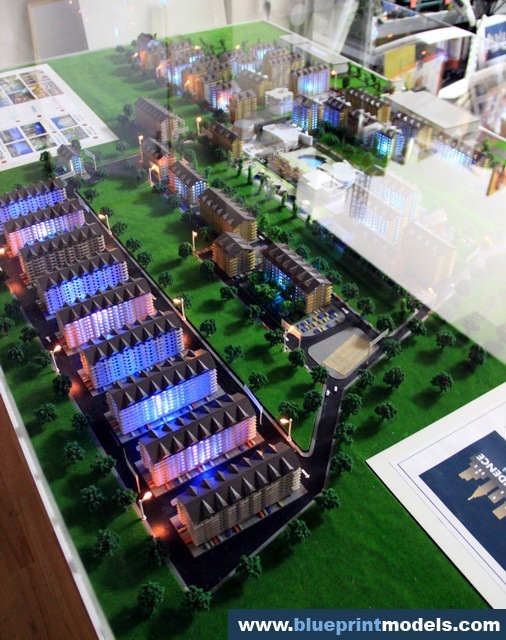 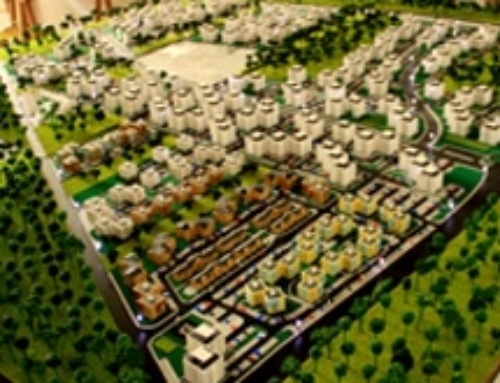 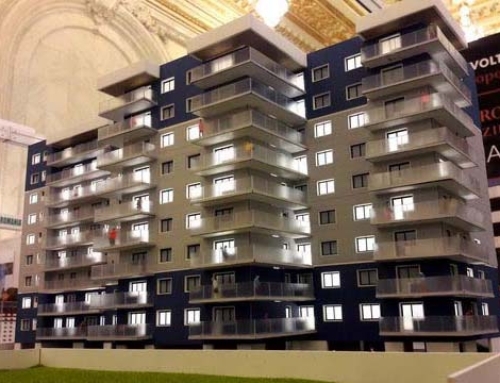 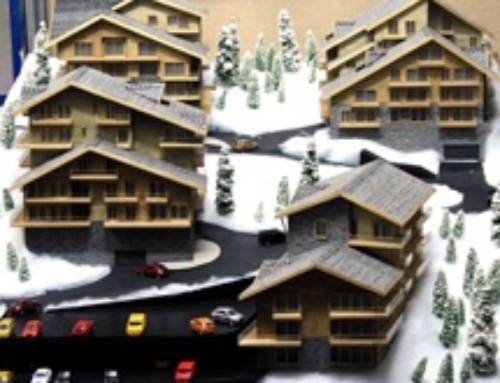 The model is presented at real estate fairs to potential buyers who can choose their future residence and see exactly what facilities they have in the immediate vicinity. 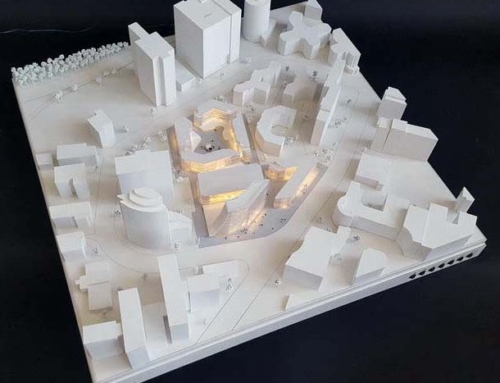 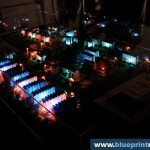 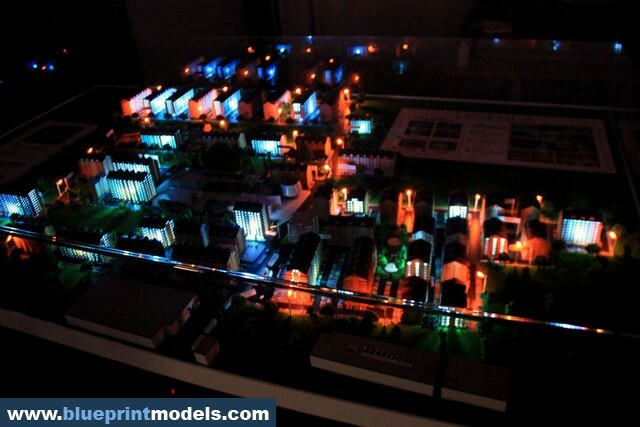 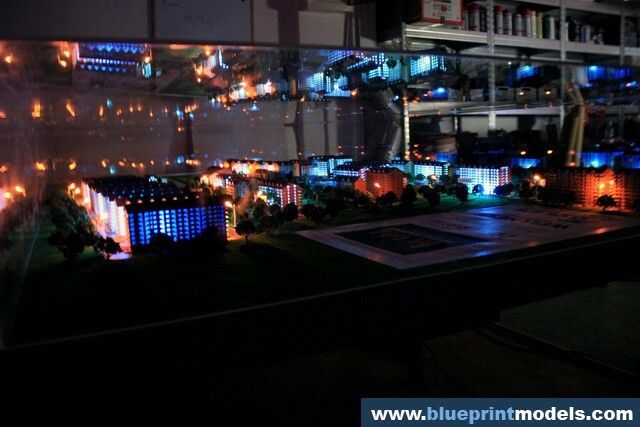 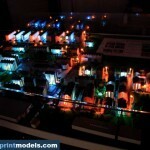 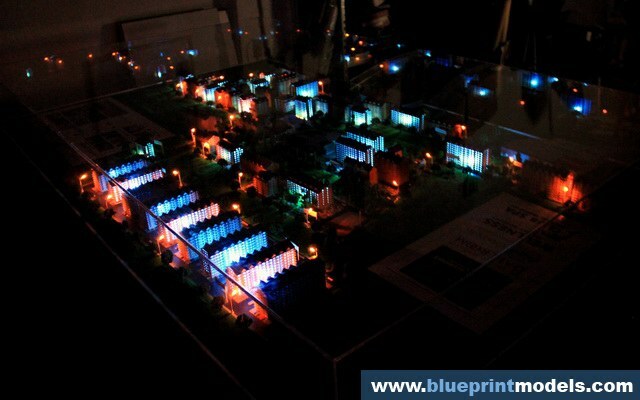 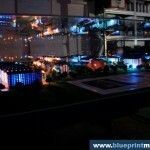 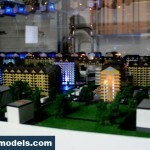 The scale model features a lighting system, and dust protection is ensured by a Plexiglas lid. 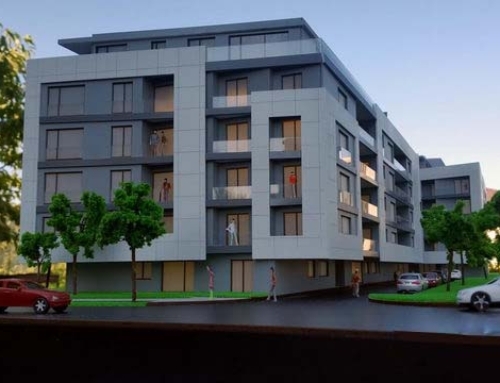 If you want to find out more about the project, you can visit the Militari Residence website.